tuna steak and a salad? Seventy bucks. Welcome to Los Angeles. 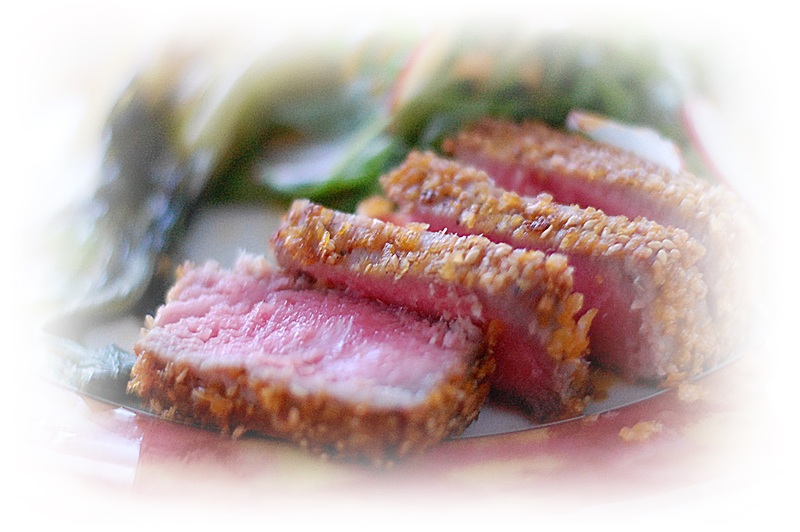 If you’ve ordered fresh tuna steak or medallions in a restaurant you can appreciate the fact that at $17.99 a pound you can serve 4 and with a couple of generous sides you haven’t even hit the average price for an entrée in a fancy restaurant. I know that I had a little chunk of tuna out with other “stuff” just decorating the plate, nothing substantial and it cost $27.99. Could be worse in other areas I suppose. 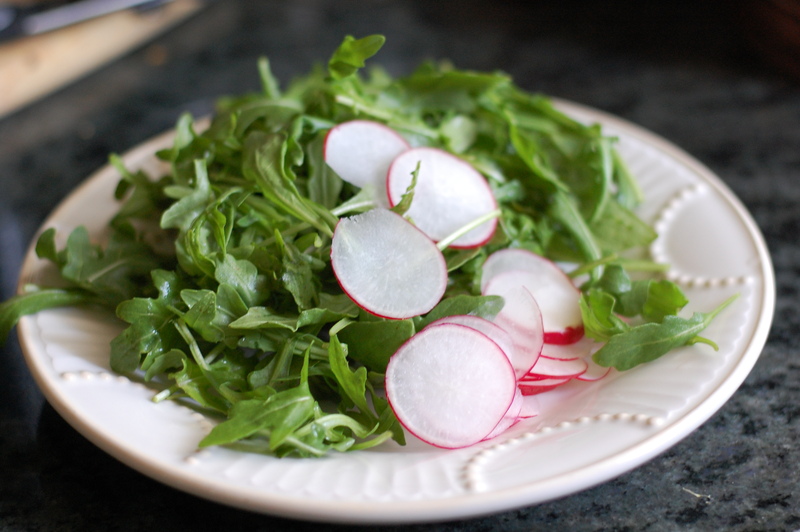 I made seared cornflake, sesame seed and ginger crusted tuna with an arugula and radish salad dressed with a simple Mark Bittman’s smooth Miso-Ginger Dressing. 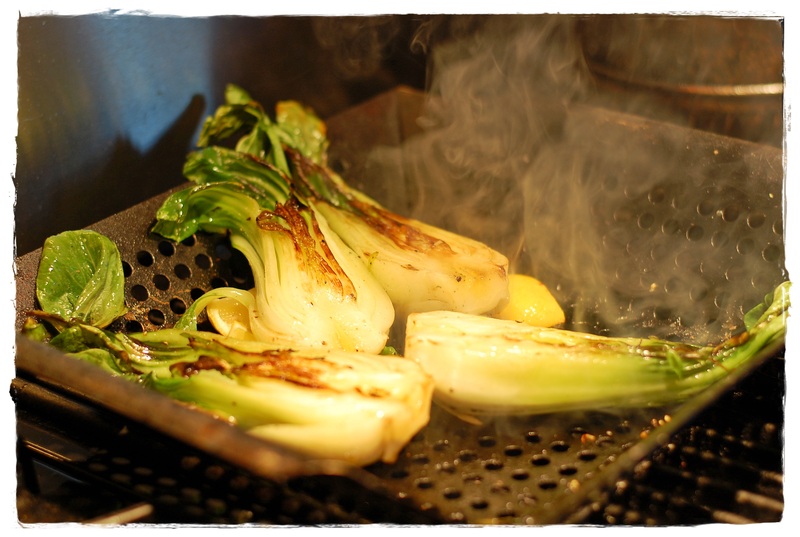 I still had some Bok choy left and brushed it with sesame oil and grilled it along with a wedged lemon…the lemon because it was just sitting there and I love the tasted of grilled or roasted lemons. 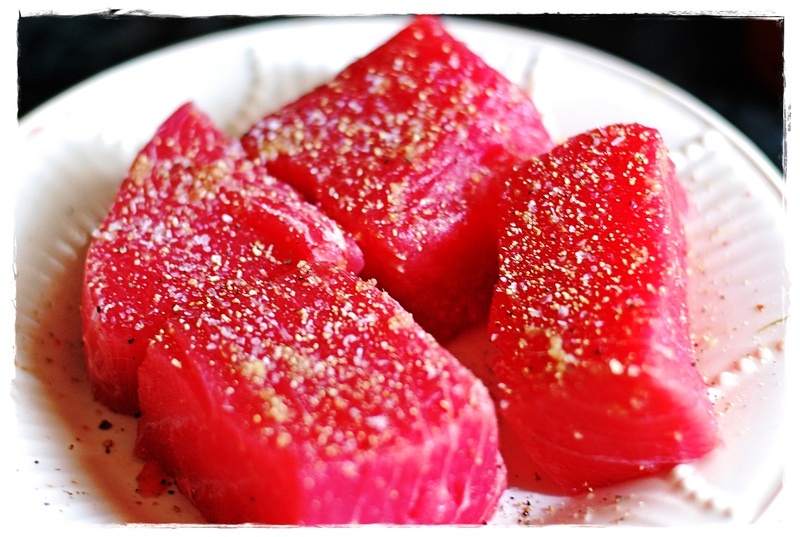 Gently rub 4 tuna filets with ginger paste (comes in a tube in the cold produce section), lightly season with salt and freshly ground pepper, refrigerate until ready to sear. 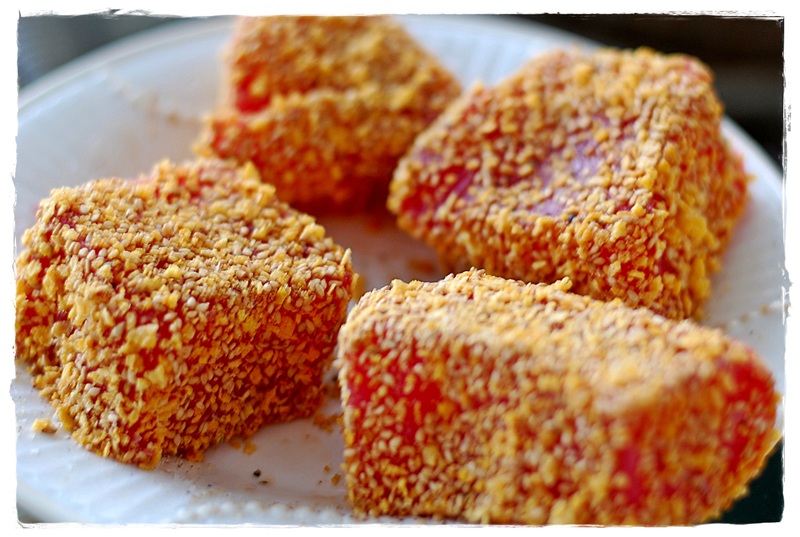 Prepare about 1-1/2 cups of corn flakes by placing in a zip lock bag, seal and crush with rolling-pin, place in a bowl with ½ cup toasted sesame seeds (found them already roasted in the Asian store). This should be enough for about 1 pound of tuna filets. 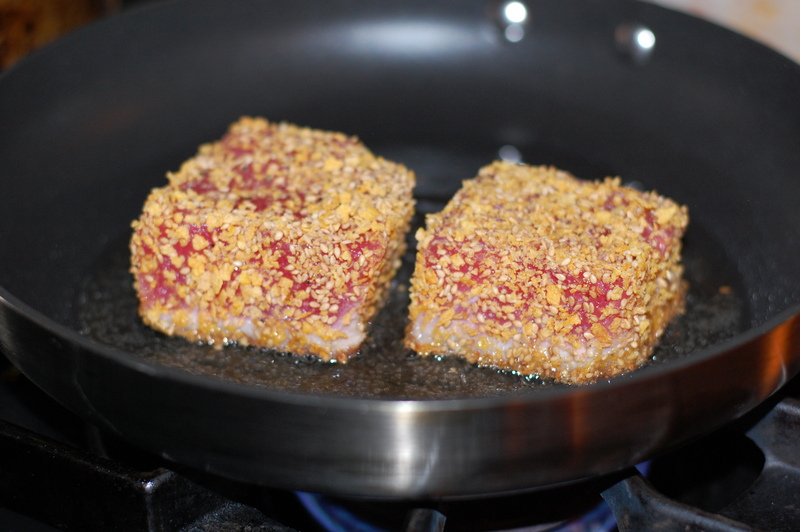 Link below to some good searing advice and a video, but I seared mine with the cornflake crust.